DENVER, Colo. (December 19, 2017) – The recipient of the 2017 Brianna Marie Memorial Research Grant, awarded annually by the Fetal Health Foundation (FHF), is a team led by Dr. Ali Gholipour of Boston Children’s Hospital and Harvard Medical School. The group’s focus will be on improved imaging for the prenatal prognosis of incomplete development of the lungs, a life-threatening complication that is associated with several fetal syndromes. Funding for the research grant, which totals $50,000, was made possible by the Brianna Marie Foundation and the Kaiser Family as a memorial to their daughter Izzie. According to Dr. Gholipour, an assistant professor in radiology at Harvard Medical School and the director of translational research in the radiology department at Boston Children’s Hospital, optimal management and treatment for affected infants hinges on timely identification of fetuses with the condition and accurate prediction of pulmonary function at birth. The Fetal Health Foundation is a registered 501(c)(3) nonprofit organization based in Littleton, Colo. The annual research grant was created in 2015 with a $25,000 donation from the Brianna Marie Foundation in honor of Brianna Marie Hissam. Diagnosed with fetal hydrops, a condition caused when abnormal amounts of fluid build in two or more body areas of a fetus or newborn, Brianna Marie was born March 16, 2012, and only lived 15 hours. Funding for the 2017 research grant was increased to $50,000, thanks in part to a $15,000 contribution in honor of Izabel Grace Kaiser who was also diagnosed with fetal hydrops and became an angel on November 28, 2012. It is the desire of both the Hissam and Kaiser families that more research can be done to better understand fetal hydrops and diseases associated with it to provide hope to families in the future. Somers is also excited to announce that encouraging results achieved utilizing two research grants previously awarded by FHF have recently been reported. A paper, “Bioengineering an Alternative to Open Fetal Repair for Spina Bifida,” published in the 2017 “Macromolecular Bioscience Journal,” highlights the results of a grant awarded to a team at the Colorado Fetal Care Center and the University of Colorado Medical Center. The team developed a minimally-invasive repair for open neural tube defects such as spina bifida using a bioengineered material. Initial studies show that covering the defect with the reverse thermal gel at an early gestational age may help to preserve neurological function. 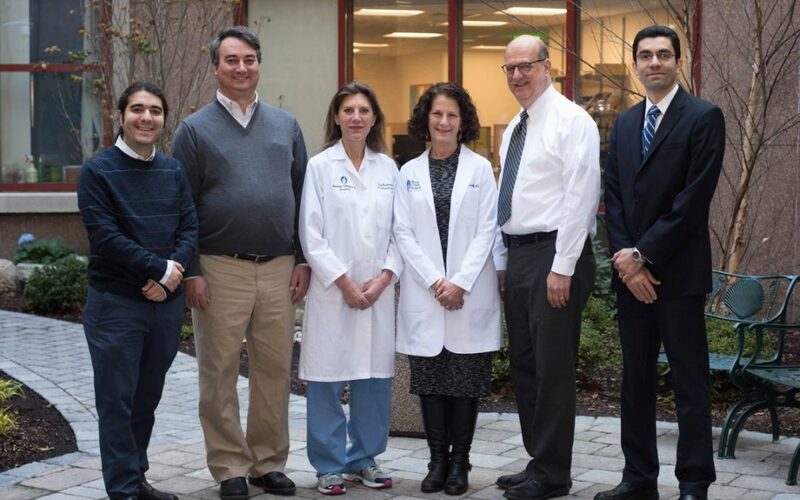 Utilizing funds provided by a grant FHF awarded in 2015, a team at Johns Hopkins School of Medicine developed a new repair technique for a two-port open fetoscopic myelomeningocele (a severe form of spina bifida). The researchers used ultrasound-based 3D multi-material printing to generate an individualized, patient–matched medical model to prepare the surgical team prior to performing a complication-free, watertight closure repair. Their work illustrated the value of using this patient-specific procedure to prepare for complex multi-specialty fetal surgery. In addition to funding life-saving research, FHF supports families receiving a fetal syndrome diagnosis, increases fetal syndrome awareness, and shares leading medical information on fetal syndromes. Visit www.fetalhealthfoundation.org to learn more about the nonprofit and its work as a liaison between families affected by various fetal syndromes and the medical teams available to provide care.